Our range of Expansion Joints can solve anticipated problems of vibrations, noise, shock, corrosion, abrasion, stress and space while designing in the piping systems. expansion joints are used in machine to prevent dust particles, metallic chips, to enter into the precision or important part of the machine to avoid damages. 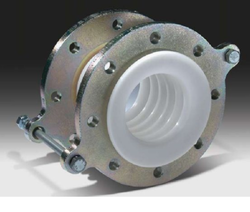 The Tubular Expansion Joints are Rubber bellows with fixed flanges. Our products are high quality and approved by all consultants in India. The temperature resistance is 105 deg. cent. 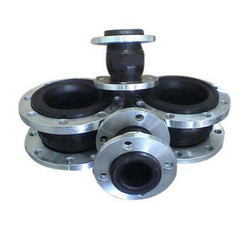 Expansion Joints that we provide of upto 25 bar pressure and 105 deg. cent. temperature resistant and can be used with oil medium as well. We provide a range of expansion joints which have a long life and expectionally stable for all applications. Compensate movements of all type. 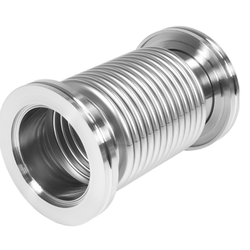 The Industrial Expansion Joints that we manufacture have a tolerable temperature range up to 110°C. These industrial expansion joints are made up of EPDM and Neoprene. 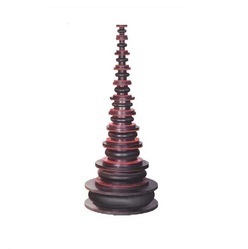 These rubber expansion joints are designed as per international quality standards.